VSTS stands for Visual Studio Team System. VSTS is a Microsoft product and design and developed by Microsoft. Visual Studio Team System (VSTS) is the cloud offering that provides a reliable, scalable, and globally available hosted services that support Git, continuous integration, and Agile tools for planning and tracking works. It is a version control and it has a general workflow that most of developers use when writing code and sharing it with the team. 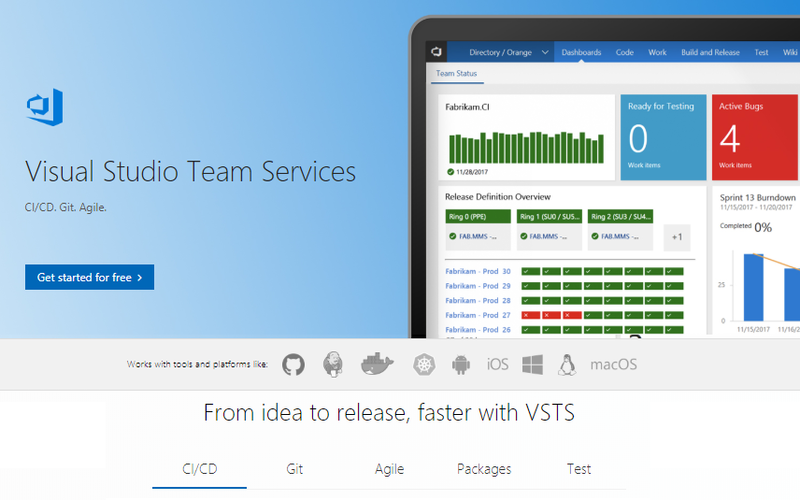 We can say that VSTS is a new version of TFS. As you know TFS is based on client-server model while VSTS is based on SaaS. The VSTS is an extension of Visual Studio architecture that provides us to encompass development teams, with appropriate roles and tools for software architects, developers, and testers. What are the Key concepts for working with VSTS and TFS? There are some key concepts that support software development. 1. Source control to manage versioning of software files. 2. Tracking tools to support planning and tracking work, code defects, issues and many more things. 3. DevOps tools to support building, testing, and continuous release of software apps. What are the benefits of VSTS?